Conceived as a multi-part project, the CL Coloring Book offers the opportunity for participants to create all sorts of outline designs as pages which can be colored by others. 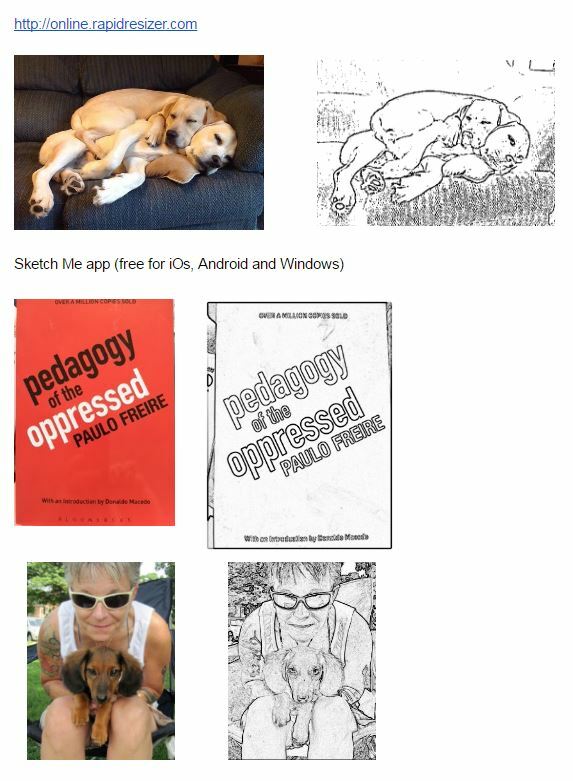 During the project cycle, individual pages can be shared back and forth with others in CLMOOC (version 2017) and beyond. Along the way, we hope a bunch of design tools will be explored and explained to everybody. For example, Algot Runeman, that’s me, will use Inkscape as the design tool. Others may design with just a pencil on paper. Still others might know about a cool online tool. By exploring and explaining the tools as we go, it gives everybody a chance to collectively build together. With a project soft goal date of Labor Day September 4th, traditional ending the summer in the United States, the collection of designs will be compiled into a coloring book which CLMOOC can use as one example of what can happen through collaborative learning. Finally, the booklet can go out to all educators who might want to use it as a starter for their own in-class design project. The coloring book will be distributed openly, offered for no charge to anyone. In order to make the book as useful as possible, all submissions to the project will be licensed using the current Creative Commons Attribution license (CC-BY 4.0) asking only that the original creator be attributed when their work gets reproduced anywhere worldwide. You can upload your coloring book pages here and see or upload colored pages here. These images were made from photos using https://news.rapidresizer.com/ and the Sketch Me app. Tweets on Twitter can be a great source for inspiration to make a new drawing. In this tutorial I show how I use tweets by Miranda Keeling as in inspiration to make drawings to her tweets. Quick demonstration of how the app DreamScope can help you get inspired to make a new version of an existing image. There are no mistakes in doodling. This will prove it. A tutorial on using Sumo Paint (www.sumopaint.com) to make a coloring page from your own photo. A variety of "official" and community tutorials on various aspects of using this drawing tool. 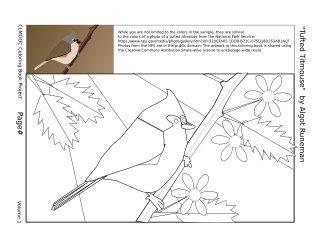 A tutorial on making coloring book pages from photographs or other images using Inkscape. This work by Algot Runeman is licensed under a Creative Commons Attribution 4.0 International License.